Exhibitors from 186 countries and regions have descended on the German capital — but for some, the star of the show lies 80 km (49.7 miles) to the north. Mecklenburg-Western Pomerania, the northern German federal state best-known for being Chancellor Angela Merkel's constituency, is this year an official partner of ITB Berlin: the largest travel trade fair in the world. From March 7-11 the rural region of 'Meckpomm,' as it's colloquially referred to, will seek to brand itself as a treasure trove of natural beauty — as travel industry leaders from around the world gather in Berlin to discuss the latest developments in tourism. The ITB provides a forum for pressing issues, said Christian Göke, CEO of the 52nd annual trade fair. Topical themes such as luxury travel, technology and sustainability take center stage — but 'overtourism' and digitalization will have their place as well. It is set to officially open on Tuesday evening with a speech from the German Chancellor. 80 percent of the 10,000 tourism companies set to exhibit at the ITB come from abroad. Last year's trade fair drew in approximately 170,000 visitors, the majority from the tourism industry, and organizers expect similar numbers this year. High turnout from Arabic, Asian and South American exhibitors reflect emerging holiday destinations and a conscious effort to promote tourism in the Global South. Part of the buzz surrounding the ITB comes from a boom in the tourism industry. 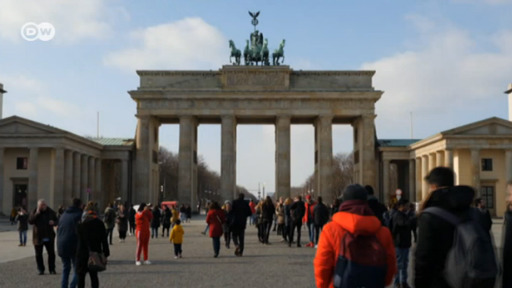 The number of travelers worldwide is expected to increase by 4.5 percent, according to Michael Frenzel, President of the Federal Association of the German Tourism Industry. Not all regions see this as good news. Popular destinations have been increasingly plagued by 'overtourism' — throngs of tourists who clash with locals and, in many cases, take away some of the magic. Activists in some cities have called for total bans on visitors. "The attractiveness of a destination also depends on its hospitality," said Norbert Fiebig, president of the German Travel Association. "It is important to find a good balance between the economic interests and the potential loss of activities for many guests. Mutual solutions are required." Local governments are considering creative solutions, such as capping visitor numbers, promoting tourist activities away from the main sights, and introducing ticketing systems for tourists entering a city. Speakers from Barcelona, Amsterdam and Dubrovnik are set to share measures to counter overtourism in the coming days. The seaside town of Sassnitz is a popular resort in Mecklenburg-Western Pomerania, official partner to the ITB Berlin 2018. With a third of its surface area composed of nature reserves, and a handful of medieval towns dotted along the Baltic Sea coast, Mecklenburg-Western Pomerania has built a reputation in Germany for relaxing tourism. As a partner region of the ITB, it will be marketing itself to visitors under the banner 'the spirit of nature.' With more than 2,000 lakes — and about as many kilometers of coastline — the scarcely-populated region of 1.6 million inhabitants is keen to portray itself as a sustainable and well-managed destination. "We only have 69 inhabitants per square kilometer, there is still space," said the state's Premier, Manuela Schwesig. "We try to avoid the concentration of people in a single spot through our soft tourism strategy."